A lovely personalised laser cut birthday card blank inside for your own message. 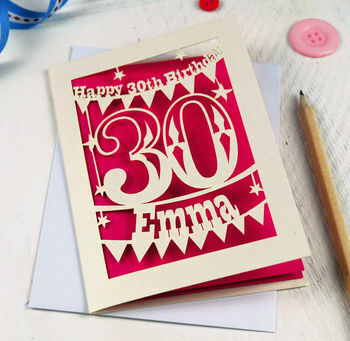 This lovely laser cut card is perfect if you are looking for something unusual for a special birthday! 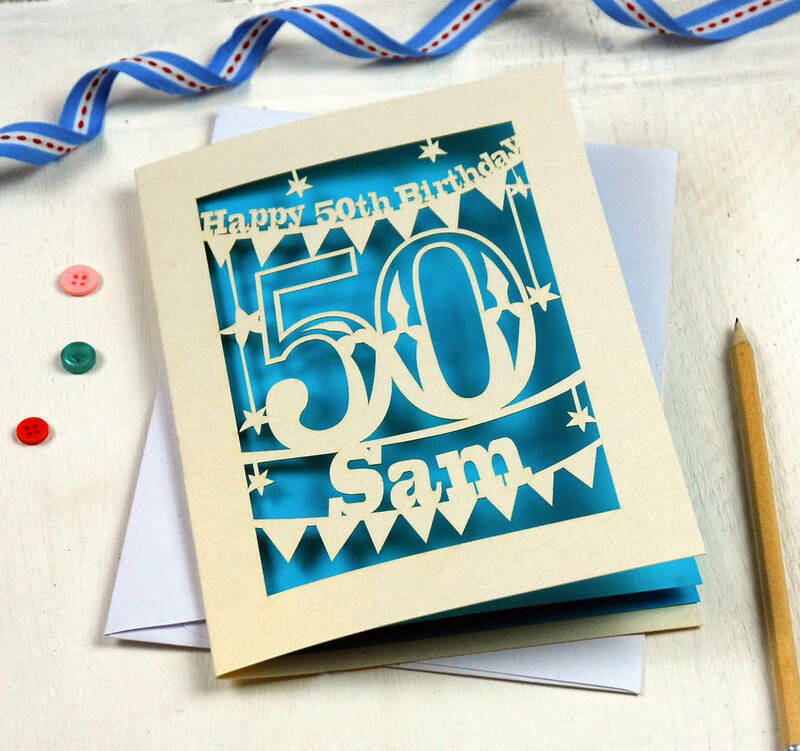 It can be personalised with the recipient's name and age (up to 103) and is available in a range of colours, please see images for card and paper insert options available. Main image shows a metallic cream card and a shocking pink paper insert. 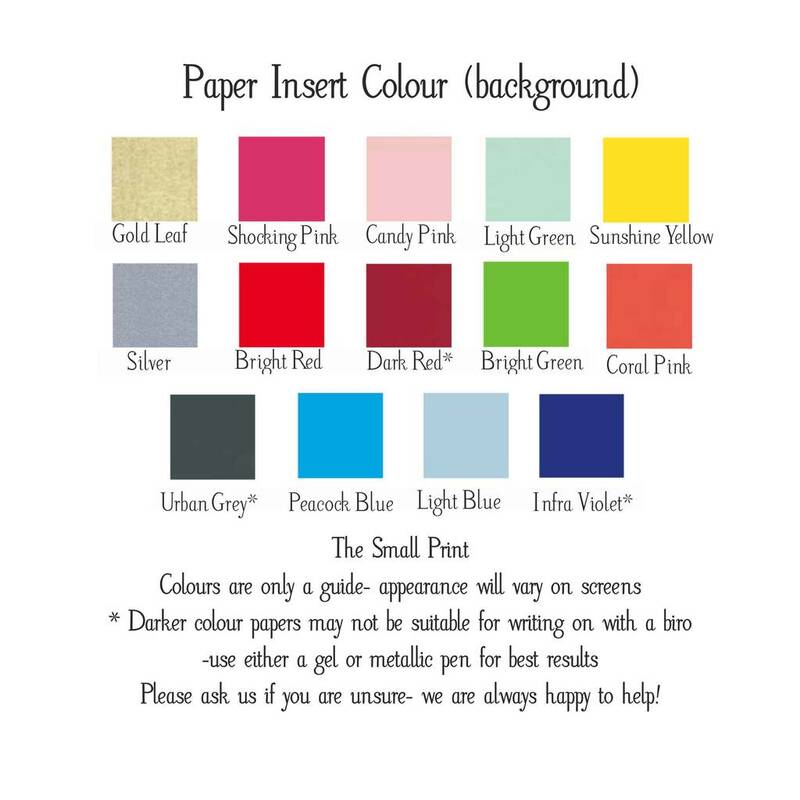 When choosing your colour combination, the card colour is the border and the design, the paper colour is the background. Please be aware that some of the darker colour inserts may not be suitable for writing on with a normal biro. If you are still unsure about your colour choice please contact us via the "ask seller a question" button. Customers are reminded to check all spelling and ages before submitting their order. This product is dispatched to you by Pogofandango.